Donald Trump’s decision to name Indiana Gov. Mike Pence his running mate could increase enthusiasm for the Republican ticket from at least one member of the Texas congressional delegation — Pence’s friend and former colleague U.S. Rep. Jeb Hensarling of Dallas. As news outlets reported Thursday that the presumptive Republican presidential nominee was preparing to announce Pence as his pick, commentators were quick to suggest that the governor’s socially conservative, free-market record — and his resume — stood to appease Trump’s more reluctant backers. Hensarling, the Republican who chairs the House Financial Services Committee, rushed to release a statement praising Pence as “perhaps the most principled conservative leader in America today” on Thursday, well before the Trump campaign confirmed the decision Friday. Hensarling had endorsed U.S. Sen. Ted Cruz for president in March, relatively late in the Republican primary. He confirmed that he would support Trump in a joint statement with several other House Republicans in May, after it became clear that the businessman — unpopular among the party establishment for his controversial statements about Muslims and Hispanics and his not-always conservative record — would be its nominee. Hensarling also met with Trump in June to discuss an alternative to Dodd-Frank, the 2010 financial regulations law. If Hensarling’s support for Trump seems less than enthusiastic, though, he has long had a relationship with the man who is now his running mate. Hensarling and Pence have a history of collaboration dating back to Pence’s time in the House, where he represented Indiana from 2001 to 2013 and served in the Republican leadership. Back in the late 2000s, Pence and Hensarling were part of a trio of close friends with future Speaker Paul Ryan, according to a Republican member of the Texas delegation. In 2008, Hensarling supported Pence when he ran for chairman of the House Republican Conference, saying at the time that he had personally asked him to run for the leadership position “several times.” He said he had considered running himself in the event that Pence chose not to enter the race, and Hensarling later succeeded Pence in the post. 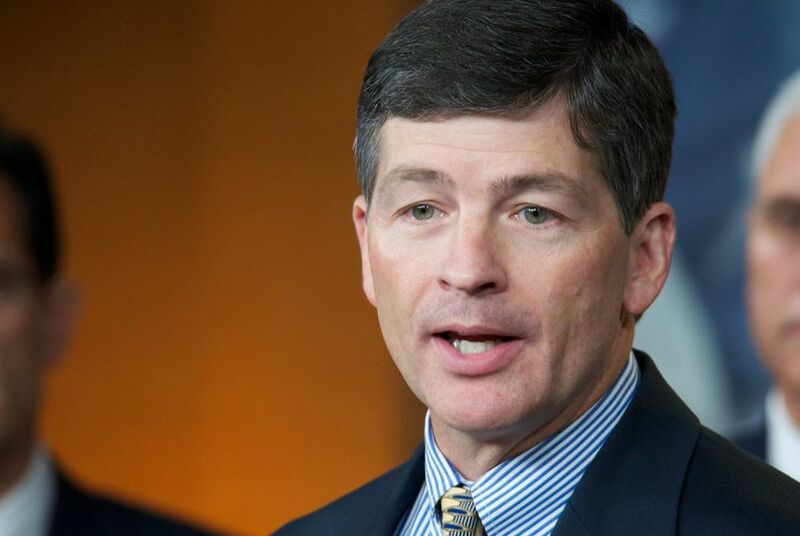 Pence left Washington to take up the Indiana governorship in 2013, and ahead of his departure, Hensarling offered his colleague a farewell tribute on the House floor, praising Pence in a gushing speech. While several members of the Texas delegation were unavailable for comment Friday, other Texas Republicans reacted this week to Trump’s pick. “He’s got the experience and he’s got broad appeal within the traditional Republican circles,” he told the newspaper.